Our book Antidisestablishmentarianism has one section defining Secular Humanism and another section defining Science. Even pulled out and available as separate books, they are still too lengthy for the average reader. This is a simple overview. You do not have to be a Christian to have a Christian view of Science. Neither do you have to be a Secular Humanist to have a Secular Humanist view of Science. 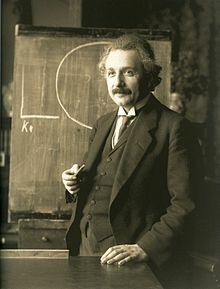 Once of the most well-known champions of Christian Science was the Deist, Albert Einstein. Honestly, Albert Einstein changed his views about God as he grew older, so classifying what he believed about God is difficult. 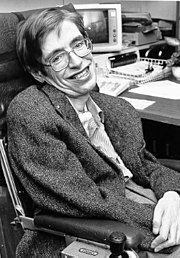 But his famous and often-repeated “God doesn’t play dice with the universe” quote is a solid defense of the Christian view of Science. What this statement means is that God created the universe orderly. We as humans have the responsibility to follow the rules and guidelines God gave us. Since we, as finite human beings, have a limited view of the universe, we do not know everything. God is both Creator and is in control. The universe follows orderly rules, though individual events might be or at least seem to be chaotic. In the Christian view of Science, events might appear to be random, but there is an underlying order and ultimate purpose. In the Secular Humanist view of Science, events might appear to be orderly, but the universe is ultimately chaotic and without purpose. Elisha wanted a double portion of Elijah’s Spirit. So how do we explain Elijah talking to the Lord in the cave at Horeb near the beginning of his ministry? These are rather straightforward commands. Yet Elijah never anointed Hazael or Jehu. As soon as Elijah left the cave, he anointed Elisha. The word the Lord gave to Elijah in Horeb means anoint. Elijah threw his mantle on Elisha. Is that an anointing? There is no record anywhere in the Word of God that Elijah even met either Jehu or Hazael. These men were left to Elisha. Hazael came to Elisha when Benhadad, king of Syria, was ill.
And not even Elisha met Jehu. Just something that I really wonder about. Commentators have varying opinions. Anyone have any comments or thoughts about this? Was Elijah disobedient? Was this a case of representatives (Elisha and the son of the prophet) acting for him and so fulfilling the command? This quote is used in the blog series Secular Humanism Is A Religion, our book Antidisestablishmentarianism and frequent comments. Since I have covered the basic facts over and over again, Secularists have resorted to attacking the quote. Most of these attacks demonstrate that the attackers do not understand how the courts work. So I will explain this quote for those who are uninformed. First Justice Scalia really did write this. This is simply a cut and paste from the opinion Edwards v Aguillard, June 19, 1987. I did not include the references to other court cases Justice Scalia inserted into these two sentences. Second, this is a dissenting opinion. As soon as Secularists notice this, they jump to the erroneous conclusion that this means the entire statement is meaningless. The third point is the critical point, the point Secular Humanist either miss or simply do not understand. ” The United States Supreme court has held that secular humanism is a religion.” (emphasis mine) This means that SCOTUS in the past “held that secular humanism is a religion.” Scalia did not make the ruling “secular humanism is a religion” in Edwards v Aguillard, 1987. Justice Scalia is simply pointing out that the ruling “secular humanism is a religion” was already made by SCOTUS. The first man attempting to have Secular Humanism recognized as religion in the USA was Thomas Paine. Thomas Paine was not a founding father and died a French citizen, not a US citizen. He supported the French Revolution. For over one hundred fifty years, Secular Humanist filed lawsuit after lawsuit to force recognition as a religion. They won that position in a series of cases in the 1940s, 50s and 60s. On my android 7″ ebook reader, type set to 100%, this is an eighty page book. 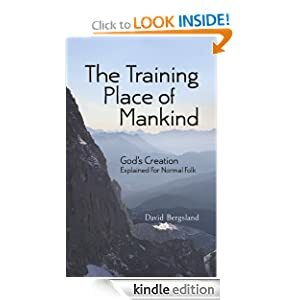 According the author and the title, our brief life on earth is a training place. The table of contents and all links work. While a table of contents and working links is something you might just expect, sadly many ebooks fail in these simple basics. Our daughter, an elementary school teacher, believes this is one of the best book covers she has ever seen. This is an overview of mankind on earth, from the original creation to the New Heavens and the New Earth. It does not cover every topic I would like, but in such a brief work that is simply not possible. If you have never looked at an overview of God’s Word, or you know someone like this, this book is a must read. If you know someone who is curious about the Bible but has never read it, then this book is a must read for them. It is both an easy, enjoyable read and introduces most major topics of the Word of God in a single book. Not to mislead anyone; this is neither a theology book nor a Bible Doctrines overview. More than half of this brief book is devoted to the book of Genesis, creation, the flood, the birth of civilization and the beginning of the Jewish nation. The three plus pages titled So what happened to science? and My point is this: creationism is basic to Christianity are very important points that are both brief and thorough. The creation week: 4,000 B.C. might just be the best nine-page overview of the creation week available. This book looks at the Bible from a very Gentile perspective. The central chapter, The pivot of history: Jesus assumes that the reader is not even familiar with the most basic information about the Messiah. Sadly, that is probably a valid assumption and makes it so necessary. Many pastors I talk to would likely find the basic information in this book a real eye opener. That is so sad. The book concludes with Israel is Transformed and The end of creation. He explains prophecy with science to examine what the earth’s future will be like. Once again, it does not answer everything. But it is a great eye opener for anyone not familiar with the Word of God. How Could You Raise the Price on the Conflict of the Ages? In case you didn’t know it, we are working on a series called The Conflict of the Ages. It now has two installments:. The Scientific History of Origins, and The Origin of Evil in the World that Was. These are designed for homeschoolers who want a better grasp of the essentials of world history from a scientific and authoritative point of view. These books fulfill state education requirements for a well-rounded historical and scientific study. They include ancient sources outside the Bible that echo the truths of literal creation and what the world was like in ancient times. They merge History and Science, and later will include Literature studies as well. References and supplementary information for further study comprise more than half of each book. When we first published these, our main concern was to keep them affordable, so we priced Teacher and Student editions at 99 cents. We have, however, gotten feedback suggesting we “up our game” by adding better organizational structure and illustrations to improve the reader’s experience. The additional material increased the file size and the 99 cent minimum price was no longer an option. We know that economic times are not improving and many families are struggling to pay for homeschool curriculum as it is. But we hope you will consider the “added value” of better organization and illustrations, and consider adding these works to your homeschool curriculum. We’d love to have homeschoolers give this series a try, and to give us your feedback. It’s designed to be in easily manageable modules, between 100-200 pages of main text each, and has Student and Teacher editions, with answer keys and teacher helps included. These upgraded versions are available now on Smashwords, and should be ready in a few hours on Amazon. Author Interview with Steve Biddison — He has a new book! It’s not Fantasy … It’s Not Basketball … It’s Romance! 1. Many people say that authors can’t or don’t do well with more than one genre. You have devotionals, sports nonfiction, a fantasy series, and now a romance. What do you think prepared you or qualifies you to write these different types of books? I have heard that said, but I simply refuse to believe it is not possible. I like to read a variety of genres so why can’t I write in a wide variety of genres? I guess you can say I have a variety of interest and experiences that I want to write about. As a Christian who has been in the ministry, I am qualified to write devotionals. As a very successful basketball coach for over 20 years, my experiences have made my basketball coaching books very successful. I have always enjoyed fantasy so I had to write a fantasy series. And my latest release is a Christian romance story. But in that book, I use both my ministry and basketball coaching experience to craft a story about God’s love and forgiveness. 2. What do you say to the charge that men can’t write romances that women will like, and how will you tempt people who don’t care for sports to read your sports-themed stories? As far as men writing romance books that women want to read, I think Nicholas Sparks has proven that men can indeed write very successful romances. My book, Desires of the Heart, is much more than a sports story. It is primarily a romance between two people, one who is a coach, who both have need to experience God’s forgiveness and restoration. As far as the background sports story that is happening throughout the novel, I believe that there are a number of women who also enjoy sports. Besides, it might also draw in some male readers as well. As a side note, the story of the basketball team is very closely based on a basketball team and season that I coached. So it is very realistic. At the current time, I am working for Rush Enterprises as a corporate trainer. This puts me on the road at least three nights every week. As hard as it has been to be away from my family almost half of every week, it has been great for my writing career. I have at least three nights a week that I can devote to writing, not to mention airport and flying time. For most my adult life, I was a high school varsity basketball coach. And I might do that again. I love the thrill of molding a team into a unit. As much as possible, I am involved in my church. At this point, because my job has me gone throughout the week, I am unable to get involved with midweek ministries. However, I am very active in my home group and even while I am on the road, I try to encourage the people in my group by praying for them and sending them emails. As strange as this might sound, what I usually do for fun and personal satisfaction is reading and writing. I do enjoy a good movie now and then. Because of my work schedule keeping me out of town the first part of every week, on most Fridays, I enjoy going to my son’s school and eating lunch with him. He just turned 10. It’s a special time we get to just “hang out”. I recently started using a proofreader for my novels. My first novel, The Center Circle, had some real proofreading issues so after that, I needed to get another pair of eyes to read my book. This person also serves as a beta reader. In the future, I would like to get a couple of more beta readers though. I know it would help if I stick to one genre. I will be the first to tell you that I am no marketing expert. I’ve read all the books on marketing and though most have some really good points, I have found that there are no sure fire ways of grabbing readers attention. I have made it a habit to advertise via twitter as I schedule tweets every day with various hashtags. But I have discovered that it takes a long time and hundreds of tweets per hashtag to get in the position to be noticed by twitter people who are searching that hashtag. And the more focused the hashtag is, the easier it is to get into that top tweet category. I’ve been relatively successful in my basketball coaching series because it is not a large market. As result, my coaching books go in and out of the top 10 all the time in Amazon basketball coaching books. But again, that is a much smaller market than, say, romance. I personally would rather read ebooks than paperback books . And I believe that is the wave of the future. The reason I like it so much is that I always have a plethora of books with me when I travel. They are all on my kindle fire. And if for some reason I don’t have my kindle with me, I always have my phone and the kindle app. However, there is something to be said about holding a paperback book in your hand. And slowly most all of my books are also being converted to paperback. 7. You wrote a blog post called “How To Survive the Worst Day of Your Life” that got an unusual number of views compared to your blog in general. Why do you think that one had a greater-than-normal response? What feedback have you gotten on your blog that particularly encouraged you or gave you food for thought? I have not been a very consistent blogger and as a result, had very few followers. But strangely a few weeks ago, I started getting emails saying I had new followers. So I looked at my blog stats and saw that I had almost a thousand hits that day and it was only the middle of the afternoon. Keep in mind that the most hits I had seen in my history was 176. I then saw that the vast majority of those hits were on a post I had written over a year ago entitled, How to Survive the Worst Day of Your Life and it was written looking at Christ and His last few days leading into the crucifixion. It was taken from the devotional I had written following the life of Christ, entitled 10 Minutes to Better Living: Daily Applications from the Life of Christ. Come to find out the title of the article was the exact name of a sermon that Rick Warren was going to preach that Sunday, but due to his pneumonia and then the sudden tragedy of his son’s death, passed the sermon off to one of his associate pastors. But with that title in mind, people all over the nation started googling it and my blog was number two on that google search. All in all over the next two days, almost 3000 people viewed my blog and several bought the ebook devotional, 10 Minutes to Better Living. Now I know exactly how powerful a relevant blog post can be. The real challenge is writing those relevant blog posts at the time they are going to be viewed the most. I put my heart and soul into my newest book, Desires of the Heart. Eric and Lacey became very real people to me and from what I have heard from a few others who have read their story, they agree. There were times in the writing process that I would go to bed almost grieving for what they were going through and other times rejoicing for them. That’s how real they were to me. In a way this book is multi-faceted. At its heart is the romance between Eric and Lacey. One reader even described it as such a sweet romance. But of course, their romance takes twists and turns along the way and I really feel that the reader will be drawn into each character’s struggles. It is also a story of God’s love and forgiveness. 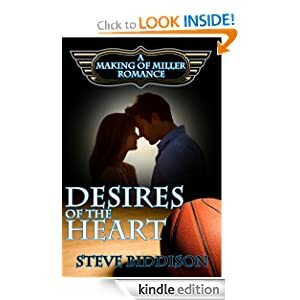 Eric has been running from a tragedy in his life for five years and hopes that finally getting a head basketball coach position in a small Texas town will get him to forget his past. On the other hand, Lacey is running from the guilt of a decision she made a few years earlier as well as fighting her Christian upbringing. I won’t give away any of the story, but let it suffice to say that God steps into their lives to show His love, forgiveness, and restoration. And then there is the basketball team’s and the town of Miller’s subplot. 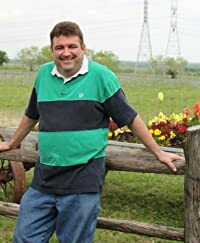 Actually, each book in this series is going to be based out of the fictional town of Miller, Texas and will have as subplot, Miller making itself into a great community again. Of course, at the forefront of the story will be a romance taking place inside the community. As for Desires of the Heart, the basketball subplot ironically enough is about as realistic as you can get. I know that many people might find it unlikely that a team that had only won two games the previous year and a total of four in the past three years can in one year, can completely turn it around in one year and go several rounds in the playoffs. It sounds like something only reserved for the movies. However, it really happened to me as I went to a small Texas town to coach their basketball team. Every aspect of the Miller Mustangs rise in this story is directly related to my real life experience as a basketball coach. The message of my writing varies from book to book. The devotional I mentioned earlier is primarily written to bring the life and teachings of Christ to life to us today in a very practical way. My fantasy series is mainly for entertainment with a message of the importance of using the Armor of God in our lives. The Making of Miller series will vary by book, but will always focus on God’s love for His children. This past December, while I was in the middle of writing Desires of the Heart, I had the great privilege of sitting down for lunch with Christian Romance author, Staci Stallings. I was able to talk to her to glean ideas of what works in a romance novel. Oh, yeah, I also one time had the privilege of meeting a lesser known author (ha ha), John Grisham. One of these days, I really want to visit Europe. But when I do go, I want to spend a month there. Scotland, Ireland, etc. One place I have always wanted to visit and in a way plays an integral part in my fantasy series is Stonehenge. 12. What’s the worst trouble you ever had with getting a book written (plots, finding needed information, getting a cover done)? In a way, I find the worst trouble I had in writing as kind of humorous. I was in the middle of writing the first in my fantasy series. This book is written in first person and I had to get the main character out of the way so something else could happen that he was not a part of. In writing the chapter where he was out of the way, he met a girl that was originally supposed to be there as a minor character for that chapter only. However, she basically told me, the author, that I would not just use her for only one chapter. She demanded more print time. I had to then figure out how to keep her in the story while not changing the main plot. That was a bit of a challenge. But I am glad I did as she has become one of my favorite characters I have written. But I think Lacey, from Desires of the Heart, might have overtaken her. 13. What’s your next project? Tell us so we can’t wait for it to come out! It’s kind of sad, but I have several “next” projects that I am working on or will shortly be working on. I have another basketball coaching book I want to have out by the first of September. I have the third book in my fantasy trilogy I need to get out before this year is done. And I have a goal of writing the next book in The Making of Miller Romance series by Valentines of 2014. And I am currently writing a project designed to be used by church small groups about prayer. So, yes, I have a lot on my plate.